While Gotham Gazette does mention that tuition was free for “qualifying students,” many appear to have read the article and missed that point. Unfortunately, there are quite a few people who have accepted the myth that CUNY was free until the 1970s. This was only true for those students who were accepted into the day school. By contrast, during the 1960s, the majority of CUNY students were enrolled in the evening college (SGS) that had a substantial tuition charge. Indeed, today a larger share of CUNY students have no tuition obligation than did in the so-called free era; the difference being that then it was based on merit while today it is overwhelmingly based on family income. Today, because of weak skill levels, many entering CUNY students require extensive remediation to reach a minimum level of proficiency. Graduation rates at many of the community colleges are below 20 percent. The overwhelming majority of weakly-prepared students already have no tuition obligation. Barron and other City Council members, and many others, it seems, want to extend this benefit to all CUNY students. Yet, any free tuition proposal is likely to worsen the situation for those least-prepared for college as the resulting enrollment growth would stretch support resources even more thinly and create more havoc to students’ ability to schedule their classes consistent with their other responsibilities. This is exactly what happened when CUNY began Open Admissions in the 1970s. As I wrote for Gotham Gazette last year, I believe that all students should have a small tuition obligation. While this would mean the poorest students would have to take out a small debt, they would make much more efficient decisions about their educational choices. It would also close the tuition gap between lower middle-class students and poor students without the costly tuition-free proposal. However, my two main complaints with the free-tuition proposal are: one, it does not address the issue of making colleges more efficient; and two, it ignores the need to shift to occupational education, focusing on certificate programs, and other short-term occupational programs. 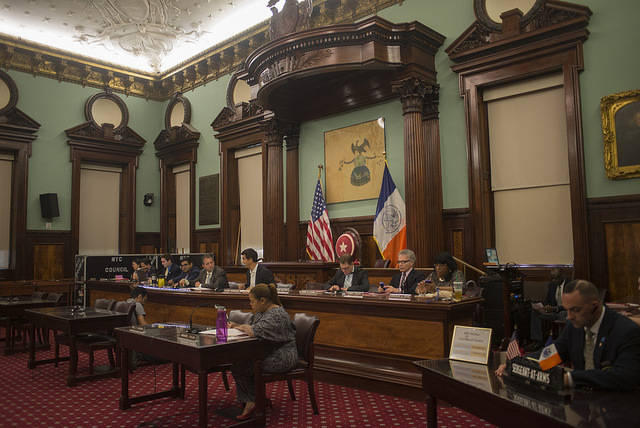 Whether the discussion is around national free tuition or a CUNY proposal that may come from the committee the City Council is considering, even critics neglect to look at ways to improve the four-year college delivery system. Forty years ago, CUNY and most college systems were dominated by a teaching faculty of professors who taught four courses each semester. Now, however, virtually every state four-year college system privileges faculty research so virtually all faculty have teaching loads of no more than three courses per semester. Indeed, based on this research model, new CUNY faculty hires teach only two courses each semester during their six-year probation period. Once CUNY faculty gain tenure they are no longer required to do research but their three-course teaching load continues. Certainly there should be serious discussion of reducing the privileging of research endeavours, and the ability of tenured faculty to maintain low teaching requirements despite no longer doing research. Faculty are able to reduce their three-course teaching loads by teaching large classes. At Brooklyn College faculty received double credit for teaching 110 students; and the benchmark is lower at other schools. The vast majority of these large sections use multiple-choice exams that are scanned and use textbooks which have quizzes that are submitted and graded electronically. Thus, faculty efforts are virtually the same as for smaller sections and yet they are richly rewarded. This desire to reduce teaching requirements has also driven some departments to increasingly offer online and so-called hybrid courses where in-class teaching is reduced. At Brooklyn, each semester there are a few faculty members who teach their entire program online so that they are totally absent from campus. Many other courses, including some large sections, are taught as hybrid courses – where students meet once rather than twice each week – so that faculty are on campus only one day each week. When I proposed a resolution that the faculty norm should be a minimum of two days of teaching responsibility each week, not one faculty chair supported it. Thus, colleges increasingly have phantom faculty and administrators have been powerless to stem the tide. Another way to increase efficiency is to have teaching lines be more consistent with student demand. For years, there has been a decline for many liberal arts majors as student interests have shifted to business and other applied areas. However, tenure and continued elitist notions of college education has limited the reduction of faculty in liberal arts areas. This is most glaring at the CUNY Graduate Center where teaching requirements are half what they are at the four-year colleges. A whole range of expensive Ph.D. programs reside there in areas where the small number of graduate students has very low prospects of gaining faculty positions. But once more every effort is made to protect these costly programs. 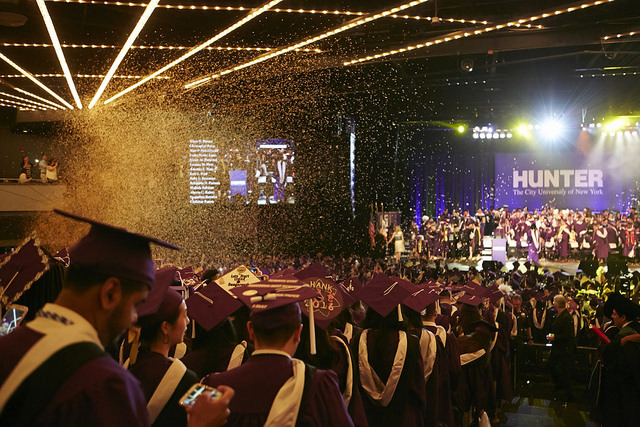 Closing down Ph.D. programs at the CUNY Graduate Center, limiting the number of CUNY colleges offering low-demand majors, and consolidating these small departments should be a priority if free tuition is pursued. A second area of concern is the continued overemphasis on four-year degrees. As mentioned, too many of the weakly-prepared students have an unsuccessful experience in the community colleges that are overwhelmingly geared to the transfer function. And many of those who successfully transfer to four-year colleges flounder and limp to graduation with degrees that do not lead to employment in their fields of study. For many of these at-risk students, I believe that employment prospects would be greatly improved if they had enrolled in one of the certificate programs CUNY offers. One of the reasons that these students are not encouraged to consider this alternative is that certificate programs are offered through “Continuing Education” and, therefore, participants do not qualify for student aid. Since advocates are unwilling to have these students take out even the small loans necessary to pay for certificate programs, they choose to allow them to fail in the community college system. If the City Council really wants to help poor at-risk students it would expand any tuition proposal to make CUNY certificate programs free. This would not only enable more at-risk students to make effective choices but would undoubtedly shift many similar students away from the for-profit schools which offer much more expensive certificate programs. 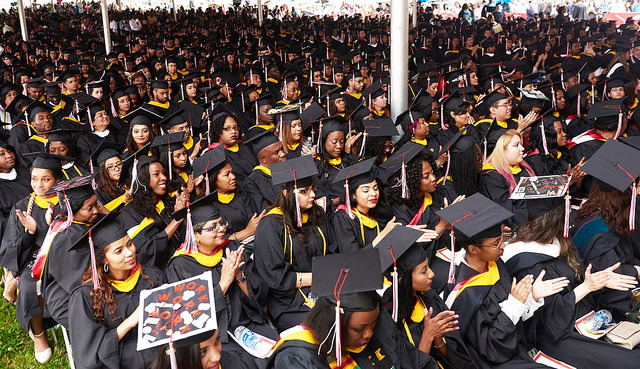 During the so-called free era, CUNY students came from a small population cohort that was born during the Great Depression and graduated in the baby-boom era when expanding government services and educational institutions created a large demand for such programs. Today we no longer have expanding government, expanding social services, or expanding teaching positions. Students need more technical and applied skills desired by private industry and public colleges must be transformed to meet these needs. With the latest New York City Campaign Finance Board filing deadline just passed, the 2017 city elections are beginning to take more clear shape. The races for Mayor, Public Advocate, Comptroller, Borough Presidents, and City Council members may be currently overshadowed by the presidential election, but the new city campaign finance filings further reveal who is planning to run for which seats in 2017 and the extent to which candidates for local positions have been successful in their fundraising efforts. While money isn’t everything - and the city’s public-matching program rewards small donations and helps allow more candidates to compete - the financial activity outlined in campaign filings is indicative of both the amount of support candidates have so far and their chances of success next year. Many in and around city politics are watching to see who emerges to challenge Mayor Bill de Blasio in his re-election bid. But, that is not the real story right now. The City Council won’t see much turnover in 2017: just eight of the Council’s 51 members are term-limited from running again and must be replaced. But, these are the only seats in city government where an incumbent cannot seek reelection next year - all three citywide officials, all five borough presidents, and the other 43 Council members can all seek another term (this is in part due to the fact that some are allowed a third term after term-limits were temporarily lifted in 2008). The latest CFB filings show intense competition brewing in several of these eight districts as voters will be asked to replace City Council Members Rosie Mendez, Dan Garodnick, Melissa Mark-Viverito, Inez Dickens, James Vacca, Annabel Palma, Darlene Mealy, and Vincent Gentile. All of these term-limited members are Democrats - 48 of the Council’s 51 members are currently Democrats - so the September 2017 primaries will very likely be the key vote to determine this next class of local legislator. One other significant theme to watch is that five of the eight outgoing members are women (and women of color) - the Council currently includes just 14 women among its 51 members, something that Mark-Viverito, the Council Speaker, and others have repeatedly raised as a concern going into the next round of city elections. Thus far, the only candidate filed to run to replace Mendez is Carlina Rivera. 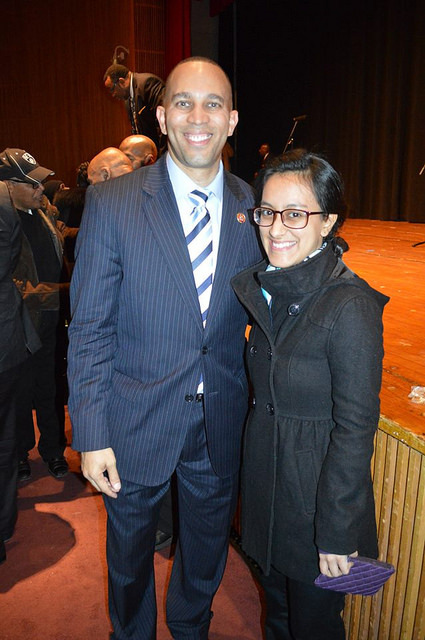 Born and raised in the LES, Rivera is currently a district leader of Assembly District 74 and Mendez’s legislative director. According to the CFB, Rivera has raised $47,932 in campaign funds, $47,208 of which was raised in the last six-month filing period. Rivera reported spending $1,581 during that time. Rivera has won an endorsement from CoDA (Coalition for a District Alternative), an independent progressive political organization from the Lower East Side, who announced their support for her on Twitter in March. Several current Council members, including Mendez, Elizabeth Crowley, and Helen Rosenthal, have contributed to Rivera’s campaign. While Garodnick appears to be eyeing a statewide run for Attorney General or State Comptroller in 2018 or beyond, according to Politico in January, after he leaves the Council, several candidates are looking to replace the term-limited Council member. Garodnick has a 2017 city account open (he could mount a run for city Comptroller or another office in 2017 or beyond) but it saw no activity this filing period - it holds an estimated balance of $191,624. Additionally, Garodnick has $888,124 in private funds left in the citywide account he opened in 2013 when he flirted with a run for Comptroller. Garodnick could move city funds into his statewide campaign account, which he has already registered with the State Board of Elections as “New Yorkers for Garodnick.” The account began filing almost a year ago and holds $515,544 as of July 20. As for Garodnick’s successor in the City Council, according to the latest filings, four candidates are vying to replace him: Diane Grayson, Jeffrey Mailman, Keith Powers, and Martha Speranza. Mailman, a legislative aide to Queens Council Member Elizabeth Crowley, raised $20,378 in the past six months, and spent $2,198. Crowley has donated to Mailman, who is a member of Community Board 6. Speranza, Democratic State Committeewoman for the 74th Assembly District and member of Community Board 5, currently boasts “the earliest and strongest fundraising start to any Council campaign in New York City history” according to a July 20 press release from her camp. During the recent six-month filing period, she raised $169,706 and spent $5,727. Like Powers, Speranza seeks to highlight not just the quantity of her fundraising efforts, but their source: “52% of our contributions came from women, 73% gave less than $250, and 35% of our contributions came from people of color,” her campaign said in the release. Like Garodnick, Mark-Viverito has money in the bank and no clear post-Council plans. In the past six months, Mark-Viverito raised $186,581 and has an overall estimated balance of $319,911 in her CFB account. As Gotham Gazette reported earlier this month, Mark-Viverito has already endorsed Diana Ayala, currently her deputy chief of staff, to be her District 8 successor. Ayala’s first campaign fundraiser was held July 7, and according to the most recent filings, her campaign has raised $11,273 and spent $531 in the past six months. Based on their donations, Ayala is also backed by several female Council members, including Margaret Chin, Elizabeth Crowley, and Helen Rosenthal. Ayala also seems to be allied with District 2 candidate Carlina Rivera; they have donated to each other’s campaigns. So far, Ayala’s only opponent appears to be Edward Gibbs, who trails her in fundraising, even though he started campaigning as early as November of last year. During the past six months, Gibbs, a former convict turned community activist who ran for State Assembly back in 2010, raised $3,545, bringing his estimated balance to $5,562. Dickens is said to be strongly leaning toward a run for State Assembly, namely the seat currently held by Keith Wright, who promised during his congressional campaign, which he lost, to not seek reelection. Many expect the two to attempt a seat-swap. Short of that, right now the race to claim Dickens’ seat is not much of a race at all. Only one candidate, so far, has made known his intention to run by filing with the CFB: Donald Fields. According to his Linkedin profile, Fields is currently a managing partner at Fields & Associates, and does not yet seem to be a competitive candidate. Fields’ CFB records reveal that he has only raised $165, while having spent $20. Fields has not raised any money since the CFB’s third deadline of this cycle, which was about 18 months ago. Fields was not made available to Gotham Gazette for comment and it is unclear if he is actually running. After twelve years of service, Council Member James Vacca will be stepping down next year. Three candidates have thus far registered with the CFB: John Doyle, Alex Gomez, and John Marano. According to his campaign website, John Doyle has been a life-long resident of the Bronx, and is currently working as the Associate Director of Public Affairs at Jacobi Medical Center. Issues that are important to Doyle include government accountability and public safety. Doyle has raised $10,816.34 in the last six months and has raised $33,835.93 in total. He currently has $25,544 on hand, minus expenditures, according to his last filing. Alex Gomez, according to his campaign website, has spent 20 years of his life working in social service, with “New York City's youthful offenders, and under employed and unemployed youth, young adults and adults.” Gomez, according to his filings, has raised $1,080 in the last six months, and $3,299 in total. Interestingly, Gomez has received $1,117.45 in-kind contributions; these particular contributions do not come in checks or cash, but rather as gratuitous services. The bulk of the in-kind contributions is from Gomez's sister, who created a campaign video that has yet to be released. According to Gomez’s last filing, he currently has an estimated balance of about $3,148. Gomez boasts that he is "the only candidate [in CD13 the race] to not take monies from unions, corporations, real estate developers, businesses or PACs." According to John Marano’s campaign website, he has worked as a NYPD officer, a NYC Fireman, and served Community Board 10 as its Chairman. Marano volunteers in a number of local organizations. In terms of campaign fundraising, Marano has raised $24,855, all of which was raised in the last six months. He currently has $22,474 on hand. Only one candidate has registered a campaign to replace Palma: Dwayne Gathers. According to Gathers’ CFB filing, he has yet to raise any funds for his campaign. But, Gathers only registered his campaign with the NYC Campaign Finance Board on July 11, 2016. In a phone interview with Gotham Gazette, Gathers confirmed his intentions to run for the District 18 Council seat. Two candidates have filed to campaign for the vacancy being created by Mealy’s departure: Deidre Olivera and Boris Santos. According to the latest CFB filings, Olivera, a community activist from Brownsville, has raised $1,838 in contributions and has an account balance of $945. Santos, a Brooklyn native and public school teacher has raised $1,940 and has a current balance of $982 after expenditures. According to CFB listings, there are no candidates who have filed to replace Gentile. That does not mean that the seat will go vacant come 2018, of course. Note: this article has been updated to more accurately capture the nature of the in-kind donations to Alex Gomez's campaign. 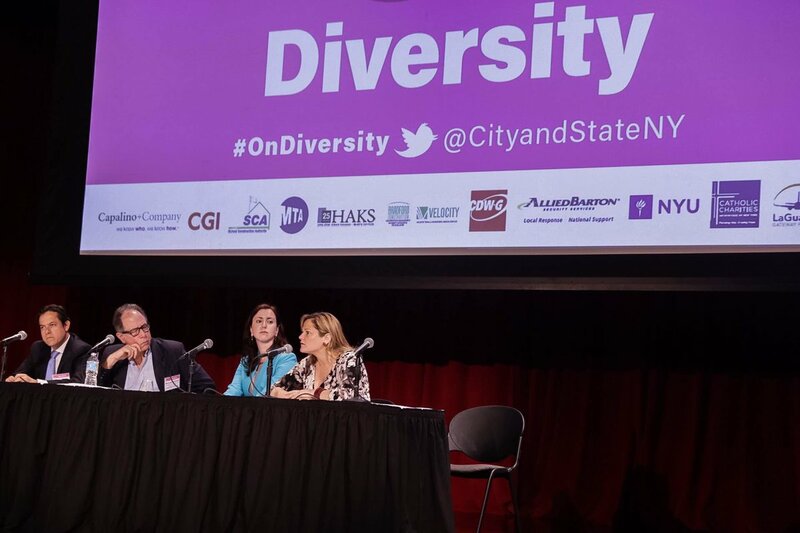 These were just a few of the questions asked on Tuesday during one panel discussion at City & State NY’s annual “On Diversity” conference. 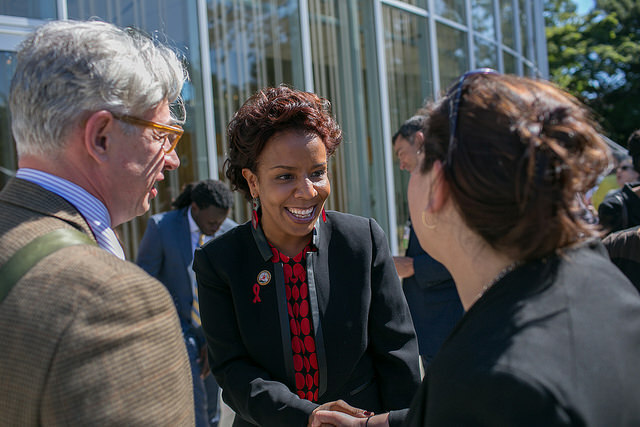 Elected officials, business professionals, journalists, members of academia, and others gathered to discuss issues of race and gender in public life, especially related government and doing business with it. City & State columnist Alexis Grenell moderated the panel discussion on gender equity, norms, and policies with New York City Council Speaker Melissa Mark-Viverito, City Council Member Dan Garodnick, State Assembly Member Nily Rozic, and Michael Kimmel, professor of Sociology and Gender Studies at Stony Brook College. The discussion revolved around gender equality both in the workplace and the home, as well as how gender issues are defined within government, the press, and the broader public. While the discussion addressed what is often a divide between men and women on certain political issues and how they are framed in public discourse, the dynamics of the discussion itself also reflected these issues. In a conversation fraught with potential landmines, the three elected officials on the panel spoke from differing personal experience, but all with a largely common perspective. Throughout, Garodnick and Kimmel - the two men on the stage - stressed the importance of redefining women’s issues as gender or family issues and the importance of recognizing men as stakeholders within the framework of these issues. The women - Grenell, Rozic, and Mark-Viverito - agreed. Meanwhile, Mark-Viverito and Rozic also focused on the importance of having women in elected office and that of including women’s perspectives when discussing issues that directly affect women. Mark-Viverito is the first Latina to be Speaker of the City Council; Rozic was the youngest woman in the Assembly when she was elected. “How do we include, get more women into politics - because our perspective is essential - but also...how do we give men the toolkit to understand when to back off a little bit of that privilege, right? So when do men have to stand down when a woman is speaking, perhaps? And also maybe when do we not include men enough when they should be stakeholders? So how do we walk that fine line?” she asked the panel at one point. Garodnick discussed his experiences with gendered expectations and stereotypes. He recalled the period in which he took paid parental leave, and despite being fully engaged in the parenting process during that time, he said he also felt pressure to project a certain image to his colleagues and peers while doing so, namely that he was still busy with work while on leave. While Mark-Viverito and Rozic both acknowledged the importance of men recognizing their place as stakeholders on certain issues, they both maintained that having women in positions of power and continuing to challenge sexism present within government and the workplace in general are the most effective ways to achieve gender equity. Rozic discussed the sexist assumptions that continue to pervade the culture in Albany, where the state Legislature she is a part of conducts its business. She recalled incidents of sexism, including an occasion when she was denied access to the Assembly floor during a roll call vote by a Sergeant in Arms who assumed, because of her gender in combination with her age, that she was not an Assembly member despite her having been in Albany for several months. Rozic also discussed multiple occasions of having been mistaken as male colleagues’ staff member, girlfriend, or wife when standing next to them during a conversation while in the workplace. “Believe it or not, Albany is a little backwards,” Rozic said wryly early in the discussion. While Garodnick spoke from recent personal experience in taking parental leave, Mark-Viverito also discussed her personal life and choices. “I am a 47-year-old woman who does not believe in traditional marriage...And I don’t have children," she said, framing her other comments. "I made a choice in my life that I wasn’t going to have children, and the expectations or the approach that I get as a woman, right, is that somehow I’m supposed to be in that box: 'You have children, right?' And when I say "no, I made a choice that I’m not"...So I never approach a woman from the assumption that she has children because I know my own experience...And you ask, 'do you have children?' You don’t assume that they have children." The Speaker expanded the conversation to sexism faced by women in positions of power by discussing the sexism she has experienced during her career, especially in that role leading the City Council, perhaps the second most powerful position in city government. She said that the media’s perception of her decision-making and independence is indicative. “I feel that still when you talk about issues and decisions, I still get a little bit appalled at times at the perspective of the press, that there’s this assumption that when a tough decision has to be made, somehow I made a decision, I’m in the pocket of the mayor, right?” Mark-Viverito said, referring to how the media has portrayed her working relationship with Mayor Bill de Blasio. De Blasio was influential in Mark-Viverito’s ascension to the position of speaker and there has been an ongoing narrative in news articles and political discourse that Mark-Viverito is not independent from the mayor. The speaker and her allies push back that her collaborative leadership style can be misinterpreted as weakness or a lack of independence.